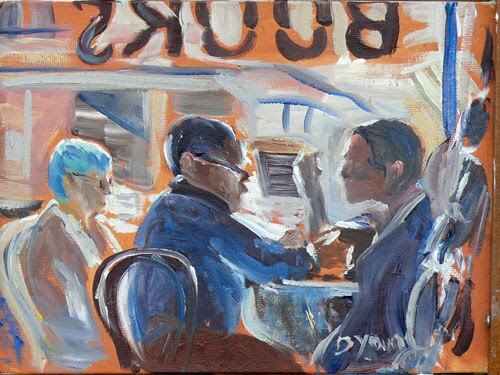 Darlene Young Canadian Artist: James Bay Cafe and Books, oil on canvas panel, 6x8"
Like your work Darlene. My favourites are the ones with backlighting, the coffee shops and Fan Tan Alley for sure. See you are a Vincent fan, it shows in your style. Good luck selling on the ol' cauz.